Just in time for Mother’s and Father’s Day, we have the gift of travel – and golf – with these favorite courses at luxurious resorts in the Caribbean and U.S. Course Experience: The course received such distinction because it’s a golfer’s paradise with six signature holes that hug the coastline of a scenic peninsula overlooking the bright turquoise water of Emerald Bay. 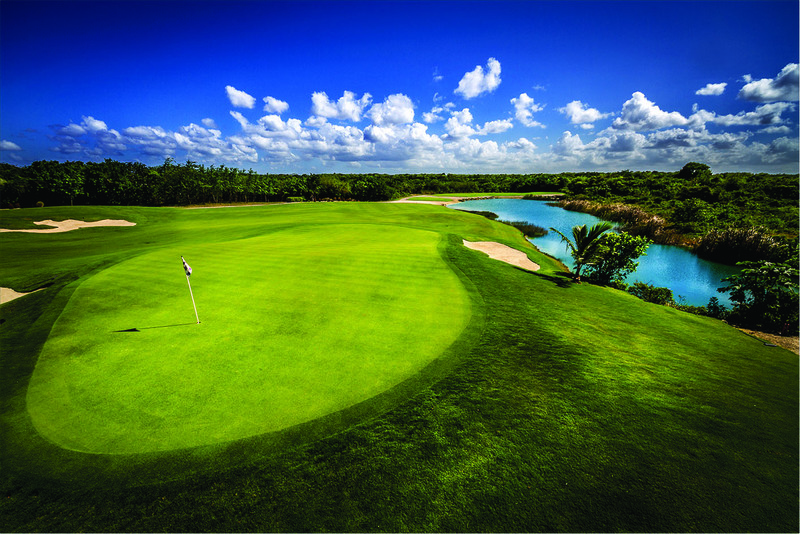 This 7001-yard, par 72 championship golf course was designed by Greg Norman. Golfers: This golf course caters to all level of golfers and provides a challenging experience for novices and professionals alike. Tournaments: We host an in-house guest golf tournament, our annual Chairman Golf Invitational, including an appearance by golf legend, Greg Norman! Club Facilities: The golf club has a full-service golf shop, practice range with chipping and putting greens, practice bunker, club storage, club lounge with drinks and casual dining, beverage cart, and an oceanfront jogging trail along the back nine. 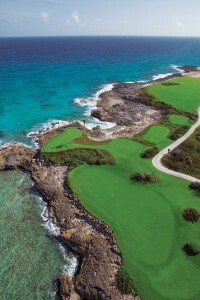 Inclusions: Sandals Emerald Reef Golf Club experience includes two free-round green fees; however, guests staying in a butler suite receive unlimited green fees. Complimentary golf carts are included with the green fees, though may be excluded on special promotions. 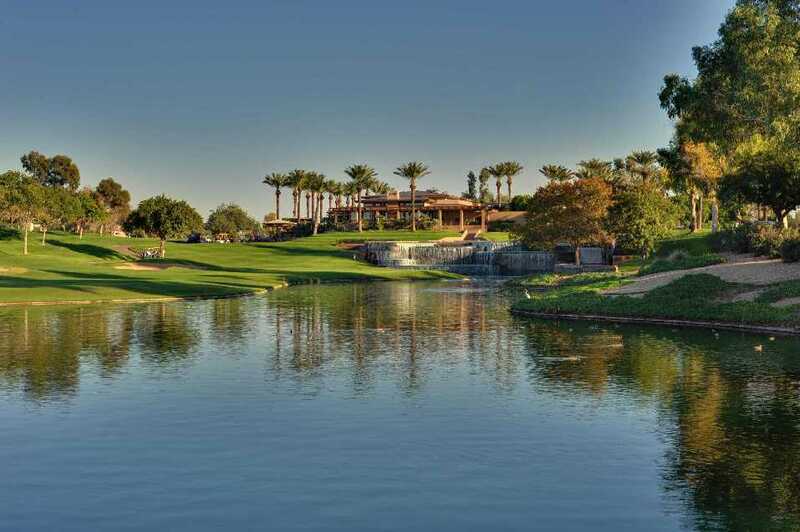 Course Experience: Gainey Ranch Golf Club is a private course, but our guests have playing privileges. Since it’s a private club, it’s maintained at the highest level. We put a lot of emphasis and focus on guest service. We have three nine-hole courses, and guests combine two to make an 18-hole experience. There are three combinations that can be played, and if someone is going to play for multiple days, we try to rotate them, so they can experience all three. 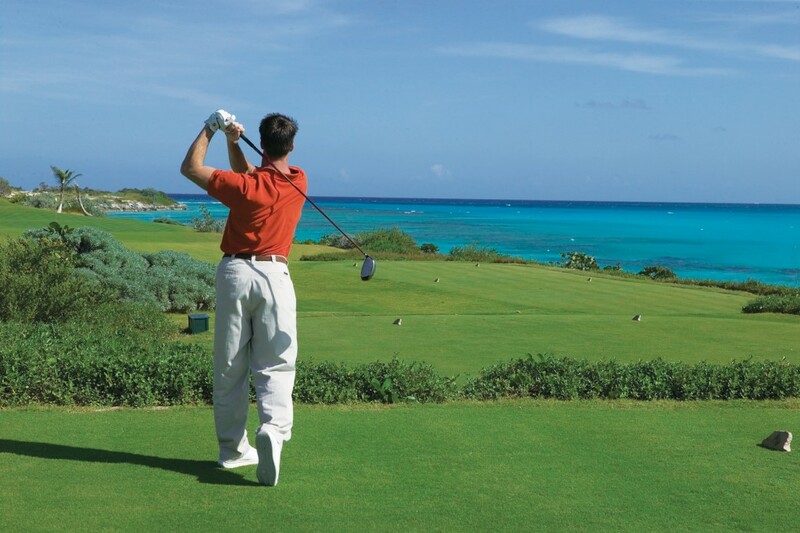 Golfers: The course is what we consider resort-style. It’s player-friendly to the beginner golfer or someone who golfs once or twice a year. But depending on where you play and how you set yourself up on the tee boxes, it can be more challenging for someone who has more experience. Tournaments: We do about 75 group tournaments a year. That’s part of our full-time job with having a golf concierge here at the hotel—providing the services for all the groups that play. Club Facilities: The club has two restaurants, a snack bar, and an on-course beverage cart. Inclusions: One of the course’s best features is that children 15 and under play free with a paying adult. We also have junior tees, which are set forward from the traditional woman’s tee, so it allows juniors to play a little bit of a shorter distance so they can still enjoy the course but play a little bit more to their level. And that’s special to Gainey as well. 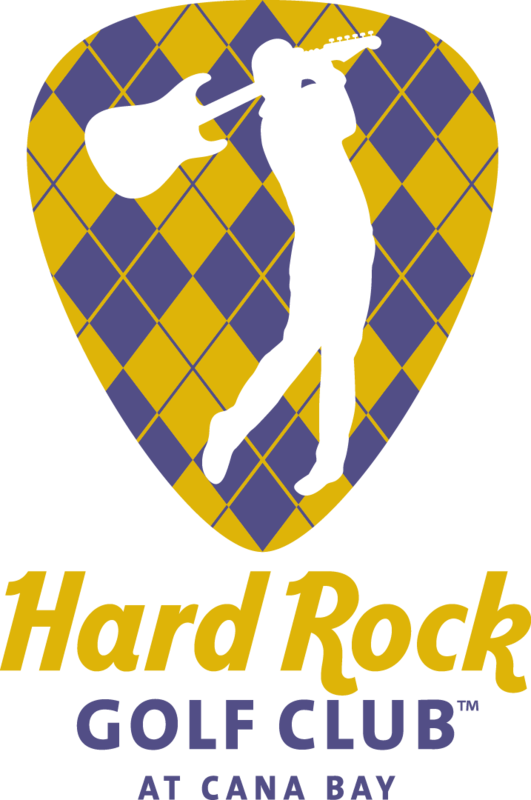 Course Experience: What makes our course one of the most memorable and the one that most people want to revisit is the mixture of the old game that we all know and love at its highest quality with the new fun soul of Hard Rock that infuses our culture here at the original Hard Rock Golf Club. Every time people come back they get to experience something new. Golfers: Our mission is to create a new way to experience the great game of golf while maintaining the utmost respect for its integrity, and this experience is for everyone who loves the game. Tournaments: We have had the privilege of hosting the PGA TOUR Latinoamérica twice, the DR Open three times, the final of the Audi Canal+ Tour, and the final of the Claro Tour twice. We also host approximately 50 corporate and group events each year. Club Facilities: The driving range, chipping green, and putting green, as well as the covered practice area, provide ample space for our guests to practice in one area while our pros give lessons in another. Inclusions: One of our very popular features are our free lessons every day at 10 a.m. and 3 p.m. Many people come here during the winter after not swinging a club for months, and they appreciate a quick swing analysis before hitting the course. It also makes a great introduction for people who are not yet sure that golf is for them. Read more about Hard Rock’s Golf Club by its expert, Cesc Targa, in Legendary Golf at the Hard Rock Golf Club at Cana Bay.